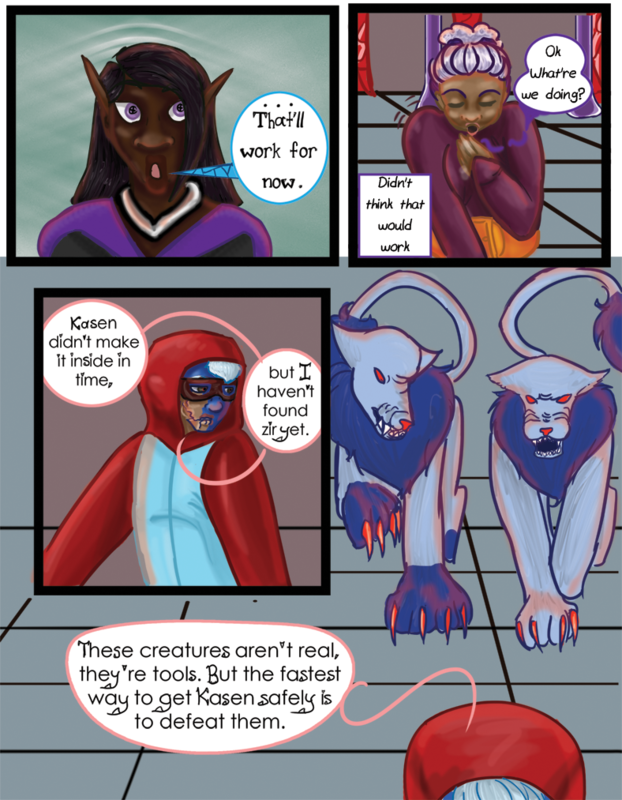 Chapter 08 - Alarm - "Chapter 8 Page 9"
Nievu’s actually pretty impressed that Wynn managed to throw the thing without getting hurt at all. Nievu: … That’ll work for now. Wynn thoughts: Didn’t think that would work. Wynn: Ok What’re we doing? Nulo: Kasen didn’t make it inside in time but I haven’t found zir yet. Nulo: These creatures aren’t real, they’re tools. But the fastest way to get Kasen safely is to defeat them.